Friends Treated to Volt's Exclusive "Table 21"
Mr. & Mrs. Matthew Levy, Mr & Mrs Thomas Duke, Curtis Duke, and Jason Bleecher are treated to twenty-one courses of rare culinary art created by master chef Brian Voltaggio and his staff at Volt Restaurant in Frederick, Maryland. Chef Voltaggio opens the exclusive "Table 21" to a party of only eight. 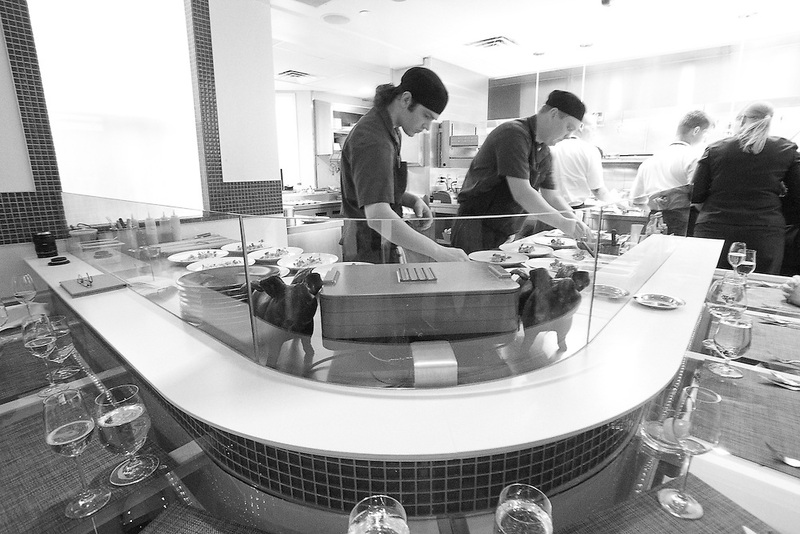 The table offers an unobstructed view of the kitchen where each of the meal's twenty-one courses are individually prepared.